I will be honest – I did not expect to enjoy Jack as much as I did! Books about (and aimed at) primary-school boys with lots of sporting activities and playground roughhousing are not generally my cup of tea. But Jack, beautifully written by Tony Wilson, is just such a lovely character to spend time with. 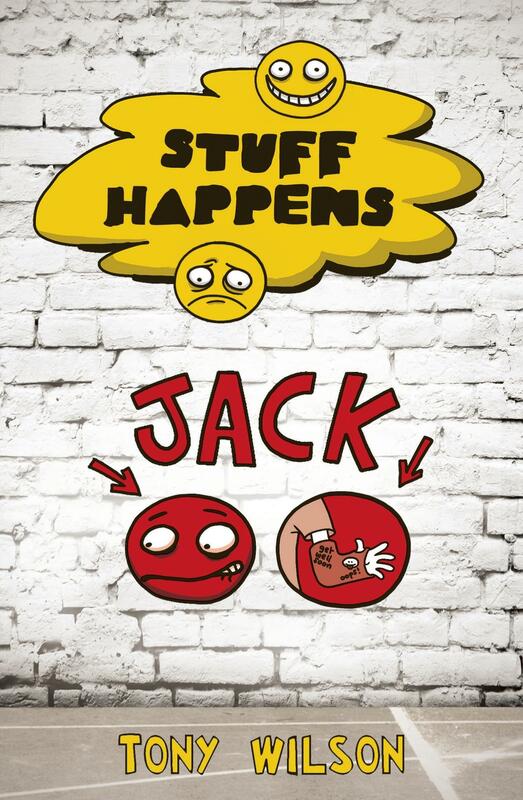 Each book in the Stuff Happens series is told from the perspective of a different character and Jack is an easy, gentle companion. He instantly draws you into his world and within the first couple of pages I cared deeply about Jack’s life and problems. The book is very easy to relate to and I think that it really encourages engaged reading and emotional literacy amongst younger readers as it deals with the relationships between the boys in a way that is, unfortunately, uncommon in junior fiction. It’s perfect for readers aged 7 and up to read independently.